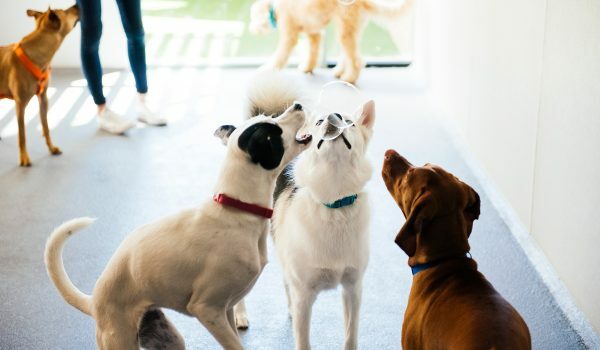 Dogtopia of Birmingham is the city’s one and only premier doggy daycare and dog boarding facility. Our beautiful location offers convenient, quality pet care for both local residents and commuters in the Detroit Metro Area. Birmingham is a friendly, pet-loving city where people treat their dogs like members of their family. Dogtopia of Birmingham’s highly trained team is eager to shower your pup with love and attention and care for them like they are our own. Most Lovable Qualities: He lets you hold him like a baby! A happy environment makes for a happy dog. 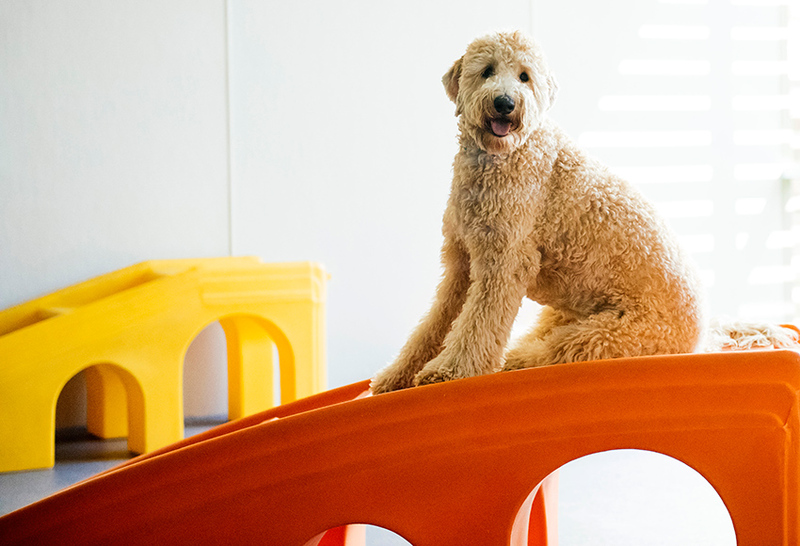 We are committed to a more thoughtful approach to pet care, and believe that dogs should enjoy fun days filled with activities, exercise, and socialization. 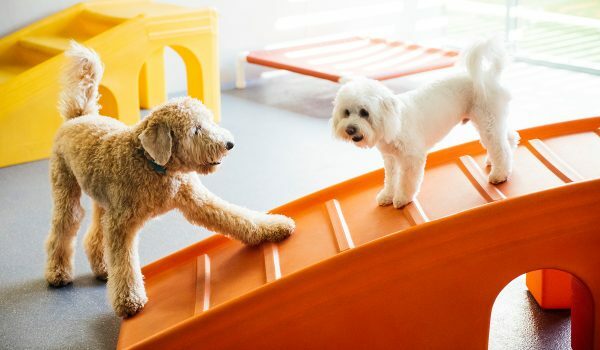 Our daycare guests are 100% supervised by dog-loving professionals, while our boarding dogs rest safe and sound in a comfortable, homelike environment after a day spent playing with friends. We are excited to provide the community with an easily accessible, state-of-the-art facility offering a clean, climate-controlled environment. We offer an open play dog daycare environment where your dog will be free to run, jump, play and sniff to their heart’s content. 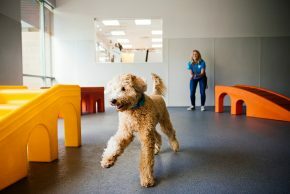 Dogtopia of Birmingham boasts 6,200 square feet of indoor space, with three playrooms that allow us to separate our canine guests based on differing sizes, playstyles and temperaments. We also have an outdoor play area for your dog to enjoy, weather permitting. We love spoiling our canine guests! We offer an assortment of unique activities, including weekly themed parties with take-home pictures and puppy goodie bags, and monthly birthday celebrations. We also offer daily lunch and treat specials such as Bacon Cheddar Kongs and Hickory Smoked Steak Bento Balls. We provide “house food” free of charge. 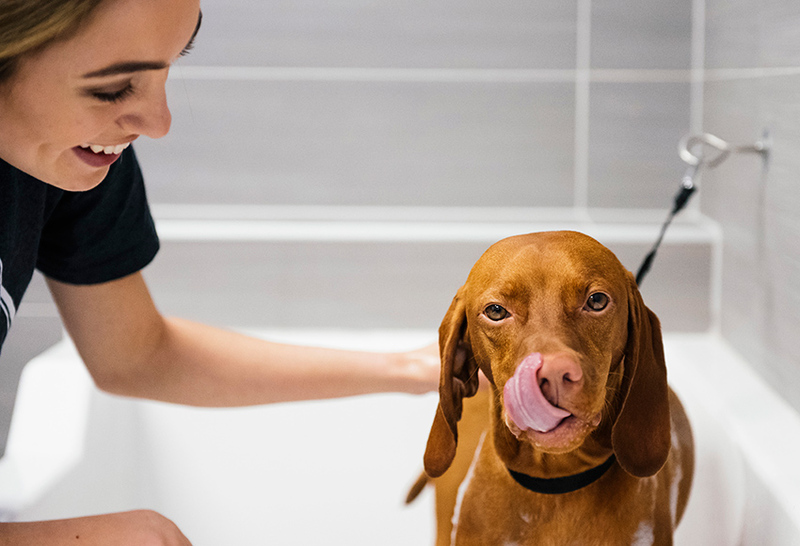 Want us to further pamper your pup? Visit our doggy spa and self serve dog wash where you can book dog baths, nail trims, teeth and ear cleaning, or a full day at the spa. 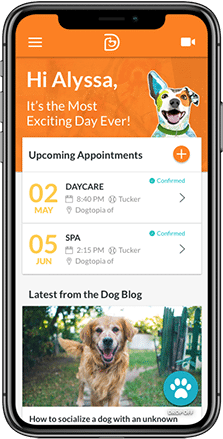 Dogtopia of Birmingham also offers live webcams, enabling dog parents to check in on their furbabies throughout the day and watch them having fun with their friends. Our top priority is providing exceptional loving and safe care for each and every one of our dogs. 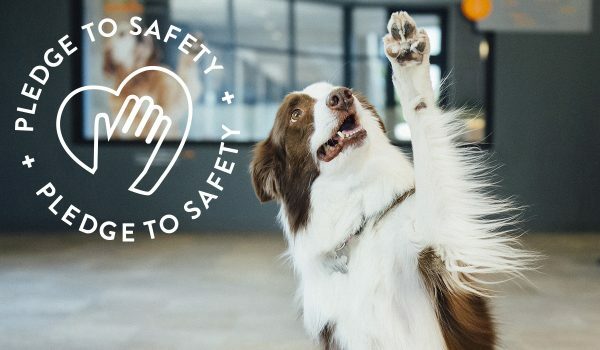 Our entire team is extensively trained in dog behavior, breeds and breed traits as well as proper canine health and safety. Many of our dog care professionals are certified in Pet CPR & Pet First Aid. We are located just off S Eton St, 1 block North of Lincoln, just south of Maple. We have a private parking lot, and valet service will soon be available. Operating seven days a week for your convenience, Dogtopia of Birmingham is open Monday through Friday from 7am-7pm, and on weekends from 10am-5pm, 365 days a year. 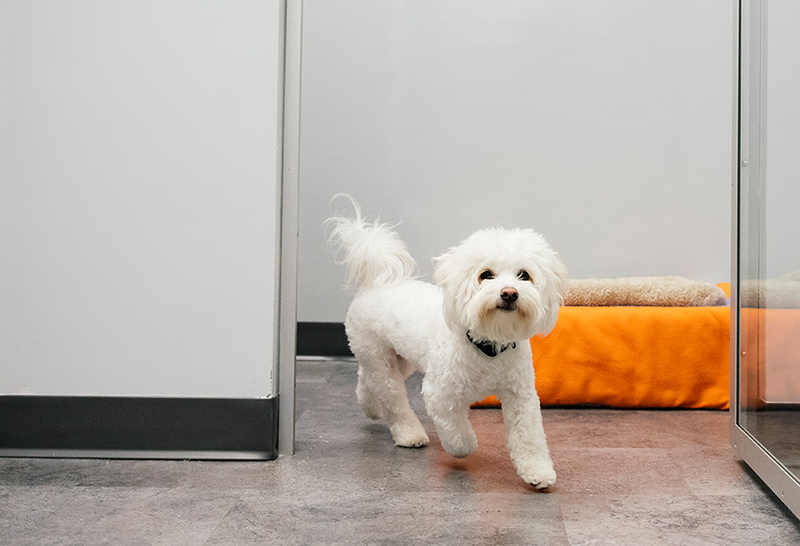 Our team evaluates all dogs for temperament prior to attending dog daycare or boarding to ensure they are well-suited for our open play environment. In addition, all canine guests must also be at least three months old, spayed or neutered (if over 7 months old), current on required vaccines (rabies, DHPP and bordetella), and free of tick, fleas and communicable diseases. To learn more or to schedule your dog’s Meet & Greet, please fill out our contact form or call us at 248-897-0280. You can also download our enrollment form.